Virendra Gupta, Founder & CEO of Dailyhunt, and Umang Bedi, the President of India’s mobile app based news publisher and aggregator, give ‘India Global Business‘ an insight into the business model that caters to the demand for news in multiple languages across India and the world. 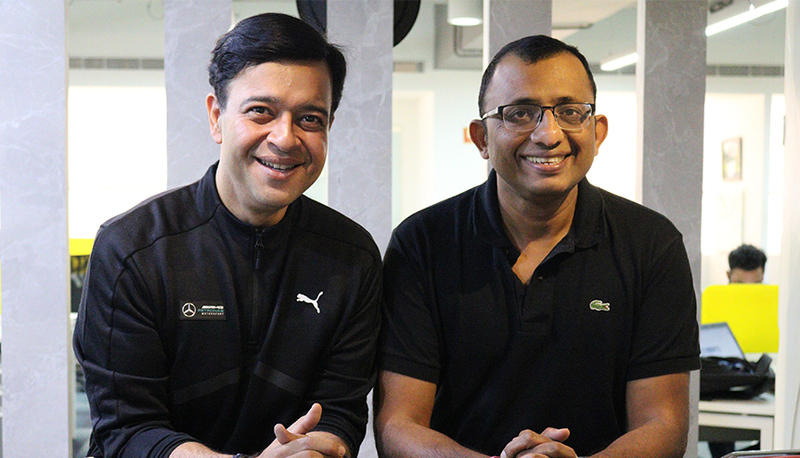 The dynamic duo behind this news revolution believe the winning combination lies in the three Vs – Volume, Veracity and Velocity of fresh content. How has the online media space transformed in India in recent years? Let’s first understand the key trends emerging in the Indian market. There has been a tremendous increase in the Internet user base year after year. With over 460 million Internet users, India currently ranks as the second-largest global online market and these numbers are expected to increase to 635 million by 2021. Secondly, as per a study by emarketer, more than a quarter of the population, nearly 337 million people, will use a smartphone by the end of 2018, clocking a growth of 18 per cent — the highest growth rate of any country in the world. Moreover, India is a very young country with large majority of its population aged between 17 to 35 years of age. These young minds, often described as millennials, are always on the go, accessing online content via smartphones. With increasing Internet penetration and smartphone proliferation, the advent of 4G and the rise of millennials demanding digital content, the online media space has also grown exponentially. A close look at the latest statistics suggests digital media transformation over the past few years. As per the FICCI-EY report ‘Re-imagining India’s M&E sector’, in 2017, digital media grew 29.4 per cent on the back of a 28.8 per cent growth in advertising. Most importantly, it is hard to ignore the growing penchant for consuming digital content in native languages. Industry reports suggest that three-fourth of the Internet users will be vernacular, which is close to 550 million out of the total 750 million users, while English language users will only be 199 million by 2022. What are the kind of steps being taken by your company to combat fake news and data privacy issues? Dailyhunt, being a content aggregator platform rather than a creator, does not experience the challenges pertaining to fake news. In the last one decade, Dailyhunt has managed to curate content in 14 languages licensed from over 1,000+ verified publication partners. Our platform boasts of high quality, reputable, validated local language content from authoritative and authentic sources. We would like to reiterate that our platform essentially represents the three Vs – Volume, Veracity and Velocity of fresh content across genres which makes it a winning combination. As far as the issue of data privacy is concerned, it is important to note that the Dailyhunt platform uses unique machine learning and deep learning technology that enables smart curation of content and tracks user preferences to deliver real-time, personalised content and notifications. The platform does not make it mandatory to share user’s personal details such as phone number, email ID, password therefore the problem of data privacy does not arise. What is the USP of the Dailyhunt model? Dailyhunt’s key differentiation lies in our ability to strike a direct chord with the consumers in India. 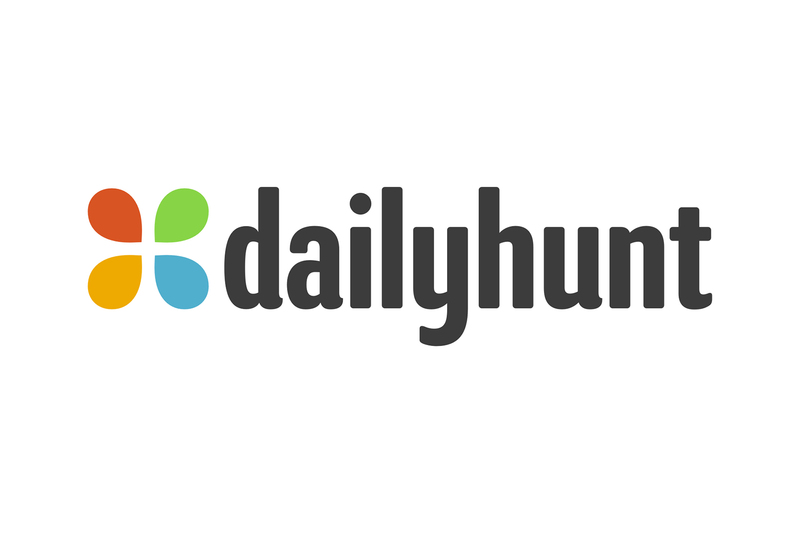 Dailyhunt has evolved to become India’s leading, news and local language content application with over 225 million app installs offering 100,000 news articles every day in 14 languages licensed from over 1000+ publication partners. As highlighted earlier, it’s unique machine learning and deep learning technology enables smart curation of content and tracks user preferences to deliver real-time, personalised content and notifications. Dailyhunt’s partnership with 1,000+ premium regional partners have already helped us reach the target audience residing in Tier II and Tier III Indian cities. Moreover, with our focus on personalisation technology that promises to provide a highly superlative user experience – a key factor that ensures a loyal consumer base, we believe, gives us long-term differentiation vs the competition. What are the kind of opportunities available in this field for global investors? As far as content–based digital businesses like Dailyhunt are concerned, there are numerous opportunities. It is evident that such businesses are carrying a lot of potential – purely due to factors such as India’s demographics, mobile Internet penetration and smartphone proliferation. Additionally, a large majority of users in India prefer short-form/snackable online content, be it text or videos in regional Indian languages. Global investors should focus on supporting those digital platforms that capture the imagination of the real India that resides in Tier II and Tier III cities/towns, apart from the key metros aiming to achieve user traction and scalability by developing core understanding of the interests and preferences of the end users. What are Dailyhunt’s expansion plans going forward? The core focus of our business is and will always be on regional language content play as it plays a significant role in bringing traffic across various verticals of Dailyhunt group. The company plans to capitalise on the growth by essentially focusing on aggressive user growth via videos – a content form which is extremely popular among our TG. Our expansion plans are largely based on the premise that the single biggest opportunity on the Indian Internet is “Local Language”. We strongly feel that the future certainly lies in winning the regional language audiences – we have the first-mover advantage in understanding and betting big on this segment. Additionally, we would also be focusing on exploring ways to augment the gallery of video content. This is essentially based on the premise that the consumption of videos has witnessed an all-time high, across all niches. In fact, Video constitute 60 per cent of overall mobile internet consumption in India, making us the largest mobile data consuming market in the work at 1.4 billion GB per month. On a macro level, our core strategy stems from deep consumer and content (video) understanding, along with personalisation technology, and these would constitute the building blocks for market success.